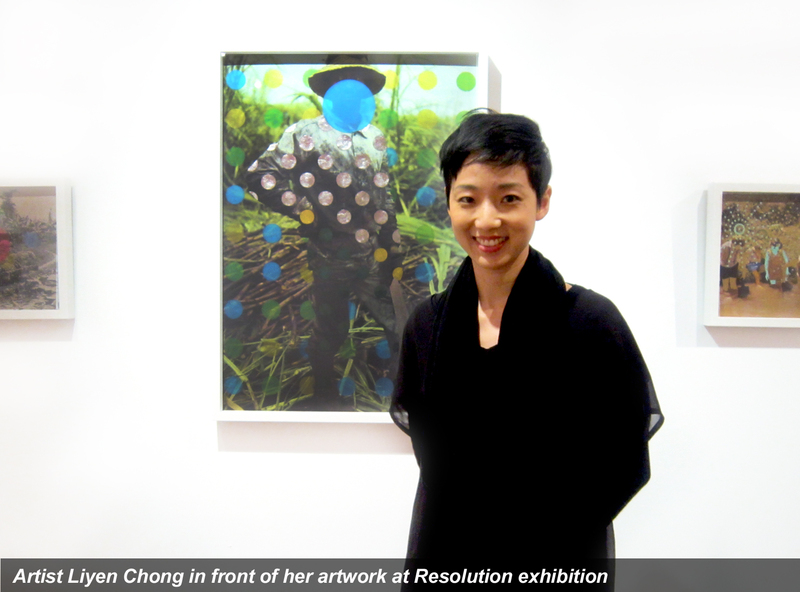 Resolution by visual artist Liyen Chong is a new series of work developed since travelling to South Korea, on an AsiaNZ Foundation artist residency in 2012. This exhibition represents a sample of Chong’s research into 60s and 70s visual imagery, sourced from encyclopaedias and Britannica yearbooks. Combining national and international visual subject matter Chong responds to her time living in a contemporary Asian society that allowed her the distance to reflect on what it means to be an artist based in New Zealand. Theories based on comparative mythology are relevant to Chong, as they provide a framework for finding collective myths across different civilisations. In Resolution, the works point to archetypical myths across a selection of disparate encyclopaedic pictures. Visually these found images are scanned and enlarged, then interrupted by pictorial studies to translate their shared mythic and iconic qualities. The artist describes these works on paper as, “performing interventions on the surface of these reproduced images, finding new visual possibilities with a combination of media and methods.” These painterly and print grain-like interventions draw attention to the external meaning of factual photographs and give the images new potential associations. Primarily an image maker, Chong’s multi-faceted art practice continues to be based on an in-depth engagement with diverse disciplines and media. To date this has included embroidery with hair, printing on ceramics, text-based graphic design work and photography. Liyen Chong is an Auckland based artist with a multi-disciplinary art practice. In 2003 Chong completed a Master of Fine Arts from Ilam School of Fine Arts, University of Canterbury. Recently her work has featured in solo exhibitions at Blue Oyster Project Space in Dunedin, Gus Fisher Gallery and Melanie Roger Gallery in Auckland. She was the recipient of several prestigious artist residencies including the McCahon House Artist in Residency, Titirangi in 2011 and in 2012 the Asia New Zealand Foundation artist residency in Goyang Art Studio, South Korea. Chong’s work can be found in major public collections including: the Chartwell Collection, Auckland, The University of Canterbury Art Collection, Christchurch and the National Gallery of Australia Collection, Australia.